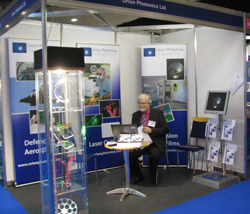 Once again, Orion Photonics exhibited at Photonex in October 2014 at the Ricoh Conference Centre in Coventry. This annual meeting which focuses on optics and photonics was an opportunity to meet existing clients and suppliers, but new contacts were also made resulting in significant contracts for the company. We will be exhibiting again in October 2015 so make a note in your diary to meet us on the 14th & 15th in October 2015 on stand C24. 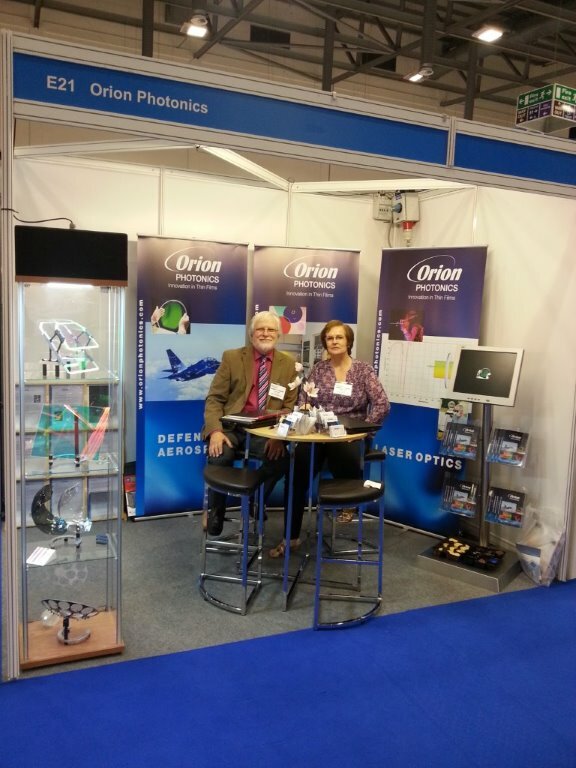 Orion Photonics will once again be exhibiting at Photonex on Wednesday 16th and Thursday 17th October 2013 at The Ricoh Arena in Coventry. The event brings together many UK optical and photonic companies, innovators and science groups. This year we will be unveiling some exciting new filter products which are attracting some interest in the optical community. Please come and see us on stand E22 where you will receive a warm welcome and be able to discuss your requirements. On October 18th and 19th, 2011 Orion Photonics exhibited at ‘Photonex Vacuum EXPO’ which was based at the Ricoh Center in Coventry, UK. Photonex is the premier exhibition for the UK and European Photonics Market. We established a presence there, renewing many previous contacts and were really delighted by the response from other exhibitors and visitors alike. We met new clients and were excited by the level of interest in the company. Of particular importance was the concept of strategic alliance. Discussions are underway with a number of international companies who see Orion Photonics as a potential collaborator on selective projects. Copyright © 2011–2019 Orion Photonics Ltd. Registered in England no. 07585825. Registered office: Unit 1B, Lake Industrial Estate, Shebbear, Devon, EX21 5SP. Design and coding by CW Computer Services.